To those fans for whom Game of Thrones is a lifestyle, there is no more upsetting day than a season finale. It’s only appropriate, then, to observe the upcoming episode ten in a manner similar to other days of special significance: by exchanging gifts. But Thrones superfans will already have the basics covered; you can’t phone in your gift-giving with a set of books, or DVDs, or maps, reference guides, or a video game. 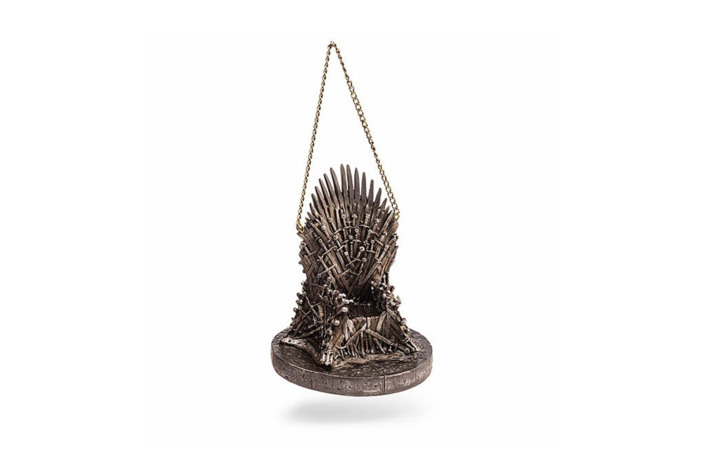 To truly surprise a GOT devotee you need a truly random tchotchke, the type of thing that will bring a smile to their face even if you don’t entirely understand why. 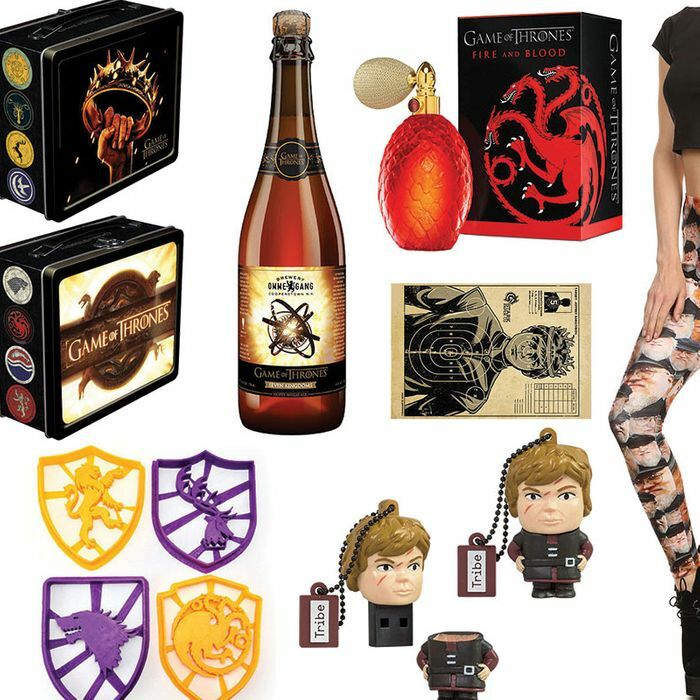 Fortunately, Game of Thrones–themed tchotchke-makers have you more than covered. With his beard, beret, glasses and grin, George R.R. Martin has an adorable face — so why wouldn’t you want cover your legs with a collage of his visage? It may not be the hottest look for a night on the town, but then again, every character on the show seems to get lucky at some point, even the eunuchs. 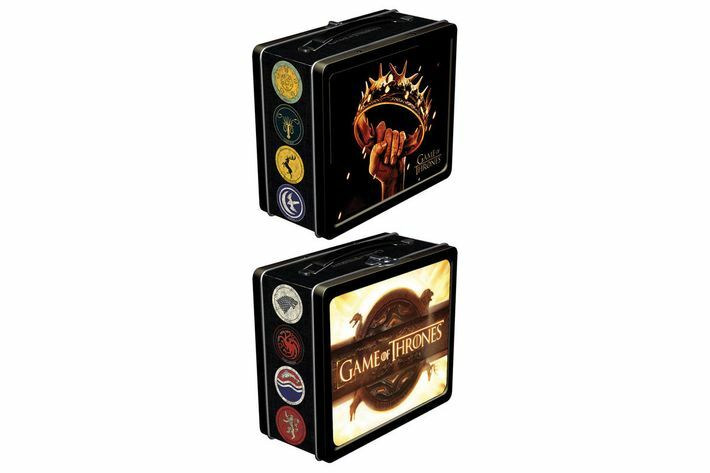 The sights and sounds of Thrones can be hard enough to bear, so count yourself lucky that HBO doesn’t offer a Smell-O-Vision feature to really experience life in Flea Bottom or a conversation with Reek. 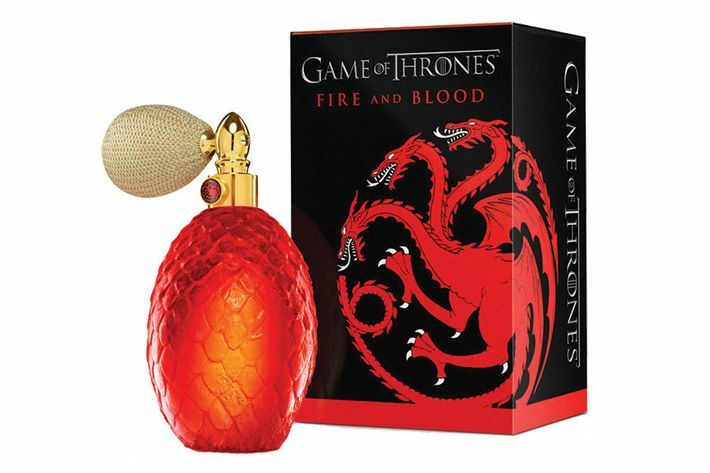 The closest you’ll get to a whiff of life in Westeros is this Daenerys Targaryen–inspired perfume. What does Dany smell like, you ask? According to the product description, “Amber, Vanilla, Sandalwood, Musk, Exotic Florals, Spices.” If you’re ever married against your will to a foreign warlord in order to win back your family’s right to a kingdom, this is the scent for you. 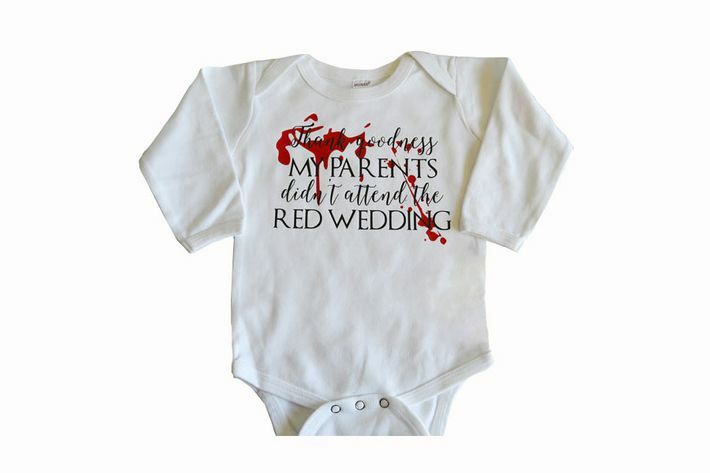 You’re getting married, and for some reason you want one of the most important moments in your life to involve the show where the biggest weddings involve gruesome deaths. Fine. Cool. 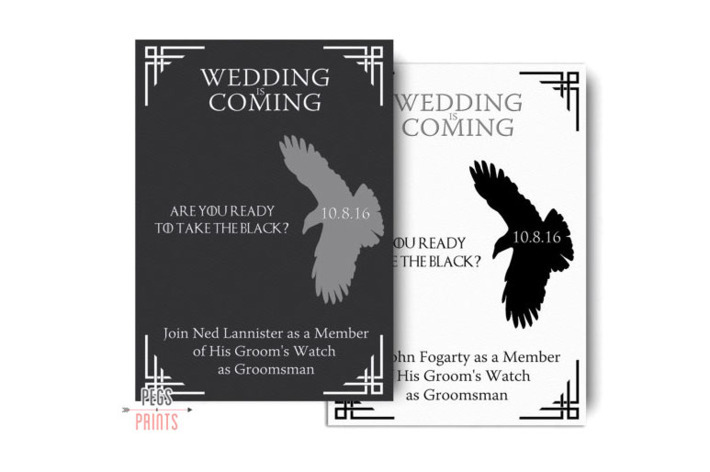 Invite your best men to take an oath to be your Groom’s Watch, with these customizable cards. What you make them swear to is up to you, but depending on your relationship with your in-laws, consider making the most expendable member of the group taste your wine and food before you eat. 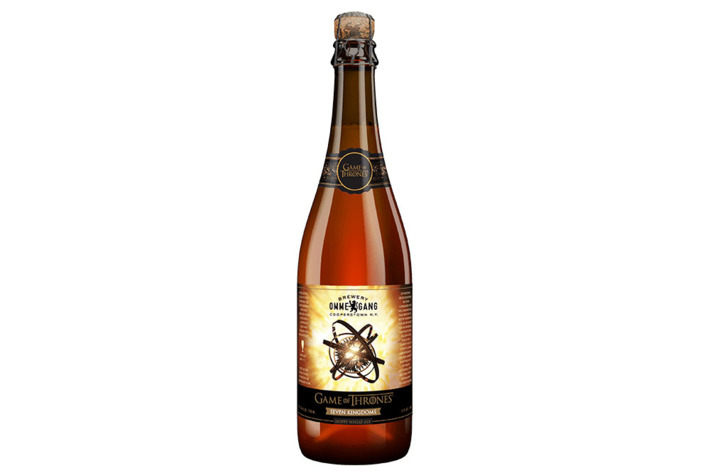 There’s also Iron Throne Blonde Ale, Take the Black Stout, Fire and Blood Red Ale (with ancho chili spices), Valar Morghulis Abbey Dubbel Ale, and the Three-Eyed Raven Dubbel Ale, all perfect for fans whose nerdery is equally split between Thrones and craft beer. Tired of feeling like George R.R. Martin is toying with your emotions, as if you’re just an insignificant pawn in his Game? 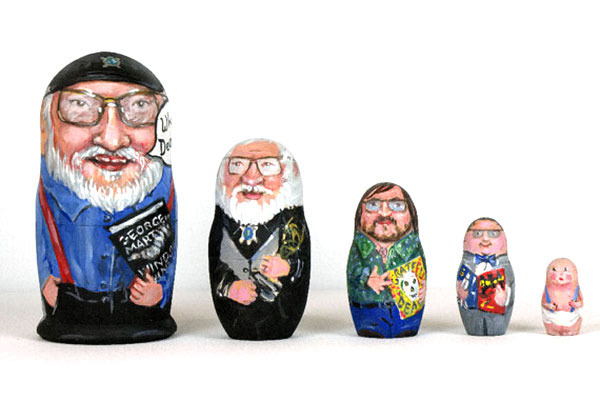 Get a measure of revenge by playing with him, in the form of Matryoshka dolls that depict him in various stages of life — from infancy to his Deadhead days to the present day, which features him holding a copy of Winds of Winter and asking, “What deadline?” Made with acrylic paint and wood, you can use them as a bookshelf conversation piece or as something to punt or burn when he kills off yet another of your favorite characters. Come on. You can’t bring your kidney pie, honey cakes, and Myrish oranges to work in a brown paper bag. This embossed tin lunchbox is the only way to go. What do most cookies lack in their traditional form? A sense of life-or-death intrigue. 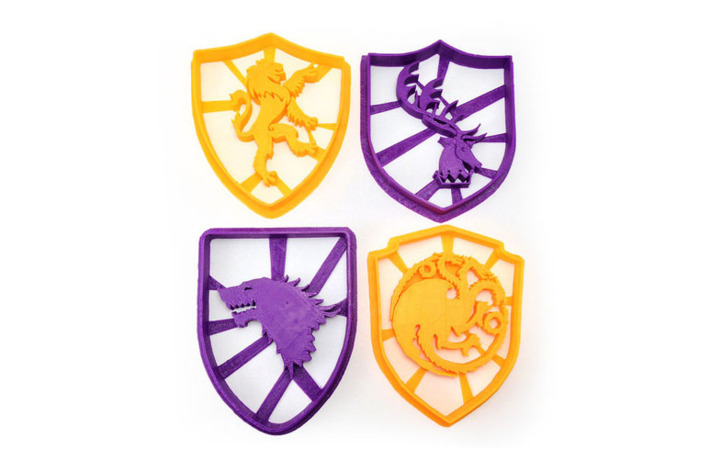 Address that deficiency the next time you whip up a batch of chocolate-chip or peanut-butter goodness with these cookie cutters, which add imprints of the sigils of Houses Stark, Baratheon, Lannister, and Targaryen. As a bonus, you can get your children started early on bloody messes by letting them use the dishwasher-safe utensils with Play-Doh. 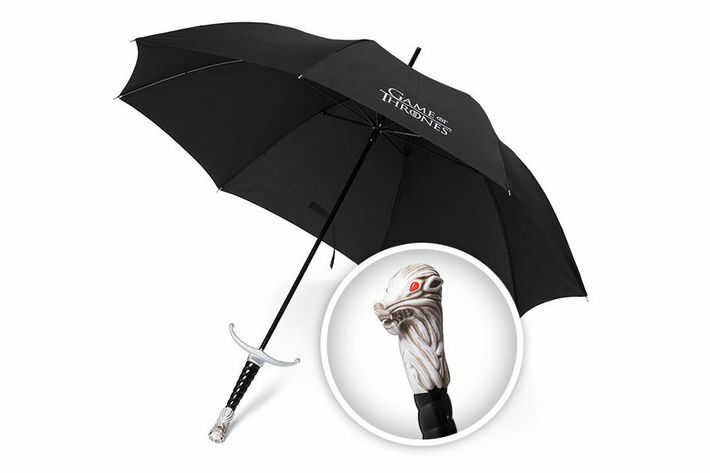 This umbrella, with a hilt modeled after Jon Snow’s sword, won’t protect you from white walkers. But it might come in handy if any winter snow showers are coming. Maintenance won’t be an issue, since, as the description notes, it “never needs sharpening (not because it’s made from Valyrian steel but because it’s an umbrella).” So, there you go. When religiously applicable, we can all agree that no Christmas tree is complete without a 4.25-inch replica of a fictional chair that indirectly caused the deaths of millions of people, right? You won’t even have to swear to “take no wife, father no children” if you wear this in public. If you want to get technical about it, this hair is really a Daenerys wig, since the title of “Khaleesi” refers in general to the wife of a Khal, who would typically have the darker complexion and hair of the Dothraki. Anyway, here’s some fake blonde hair that looks like our favorite mother of dragons. How young is too young to teach a child about one of the most gruesome scenes in television history? This young. But the tyke won’t know what they’re wearing, and your friends will get a kick out of it, so carry on. Feeling anxious about the horrors of the latest episode, or on the edge of your throne waiting for the next one? 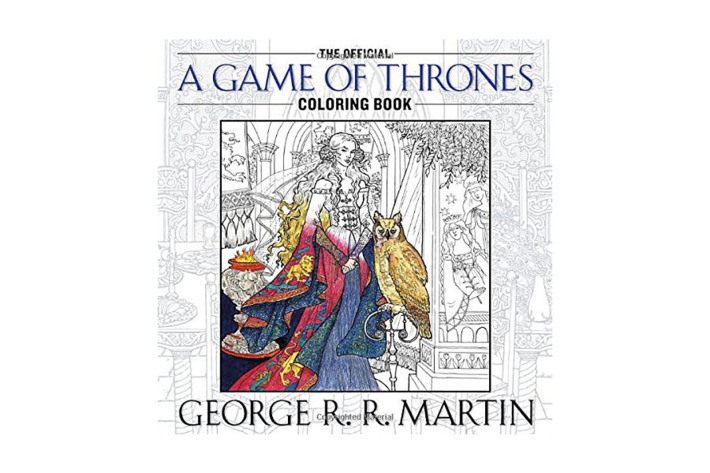 Grab some crayons or colored pencils and this GOT coloring book, because this is a good way for adults to relieve stress. Whether you’re typing up some Missandei/Grey Worm fanfic or keeping a detailed spreadsheet of the Game of Thrones time line, it’s always a good idea to back up your documents. 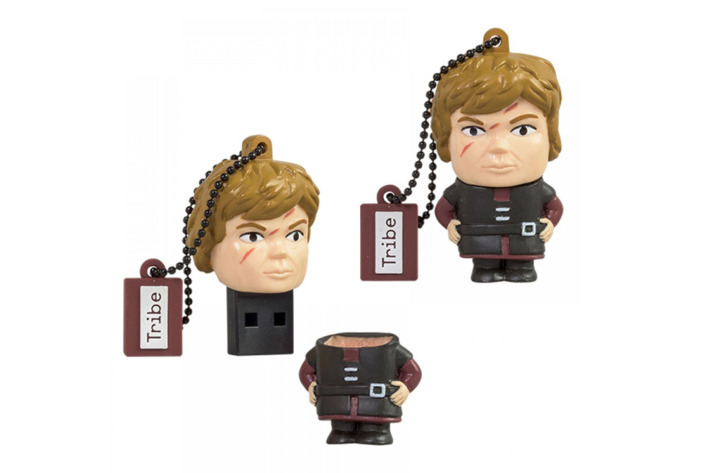 Given his cunning nature, we suggest the Tyrion Lannister USB drive, though you can also go with versions modeled after Arya, Daenerys, the direwolf Ghost, or a dragon egg. 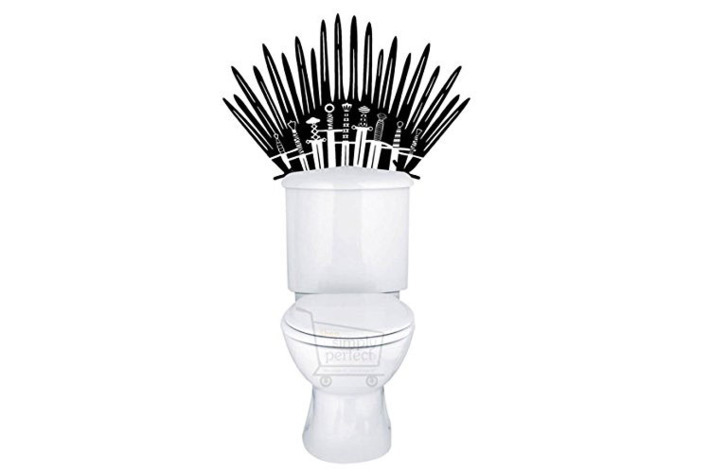 The Iron Throne gives its sitter a sense of singular, immense power, and an air of vulnerability. A toilet is where Tywin Lannister was killed. Which is to say: Do not take the application of this sticker lightly. 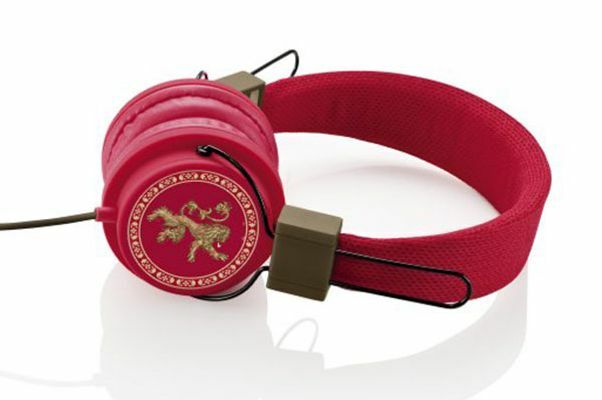 Is it a spoiler that these Lannister headphones have been discontinued by the manufactuer? Only George R.R. and possibly the CEO of Gear4 know. In any case, if you want to listen to “Rains of Castamere” in style, hurry up and grab the red headphones while you still can.